I was contacted by the lovely people at TOAD diaries. 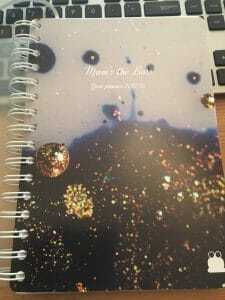 They produce a great range of personalised diaries and notebooks in all sizes and with plenty of customisation options. Are you a pen and paper person or do you like to keep your diary online? 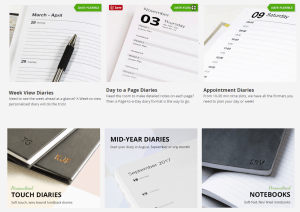 I do have a digital diary for mine and the childrens appointments, but I also like to keep a journal style diary for writing the general stuff that pops up during the day, notes of meetings, daily to dos and so on. So I was very pleased to receive this invitation from TOAD diaries to review and personalise one of their products. They sent me a code to order a book of my choice and they have also allowed me to give away a personalised book to one of my regular readers. So look out for the competition below. I decided to go for a diary though. My first dilemma was which format to choose. I am a big fan of A5 so I discounted the A4 options straight away. But what layout for the pages and did I want hardback or spiral bound? 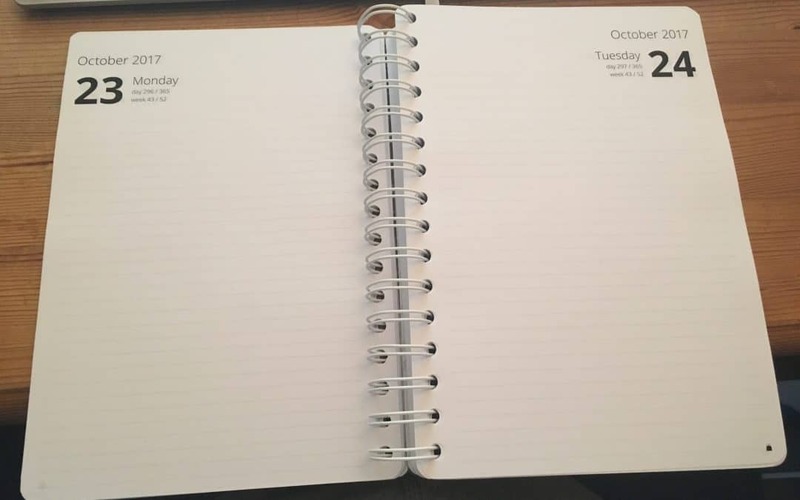 In the end for myself I chose a simple, lined day to a page diary as I don’t really have many appointments and I like the simple journal format. 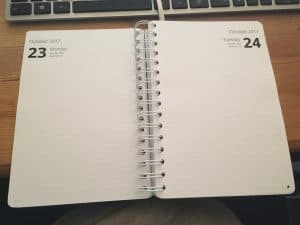 Typically though, this year I had omitted to buy a new diary in September, so this one started on September 25th, and it runs through until October 7th 2018, which will give me ample time to replace it. I chose wire bound in the end and chose a snazzy cover too. You can’t really see in the photo but it has sparkly gold bits. The diary arrived very promptly and the quality of the paper is excellent. I will definitely be recommending these to my friends. Even though it is a wire bound book they have put in a page finding ribbon – it is little touches like this that make things special in my opinion. I may buy some of their music manuscript notebooks for my daughter too as she is always looking for those.